For a successful career in stock trading it is of utmost importance that you choose a suitable stock broker that would help you to reach your financial goals. Read on to get some basic tips on the factors that you need to consider to compare stock brokers and choose one that perfectly fits your needs. This is the first step to be taken. Write a list of what is it that you exactly want out of your endeavour and your financial goals. Important points also include the amount of capital outlay and the time frame in which you want to achieve the goal. If you are an extensive traveller you should be seeking out a stock broker that provides a mobile trading app. This focus list of requirements will go a long way in helping you to choose the right broker. The larger and more established brokers are likely to offer more features that you will be able to use and succeed. They would have more tools available, more resources for education and better customer service. A stock broker that has millions of clients is most likely the one that delivers the best client experience. Before going on to choose a stock broker, it is important to be aware of what the broker is charging. In case of online brokers, many of them have hidden fees of different kinds that client comes to know of when it is already too late. This may prove to be more difficult in the beginning stages when the profits are low. As a beginner trader you should know whether there is a charge to buy the shares and whether the fee charged depends on the order size or type. It is a good idea to spot out stock brokers that offer trades for a flat fee regardless of the size or type of order or the price of the stock. Other fees may include inactivity fees, transfer fees, IRA fees for retirement accounts, etc. It is a well-known fact that stock brokers make a portion of their profits through fees charged. A stock broker that services many clients obviously has good customer service. However, it is a good idea to find that out before latching with a stock broker. Phone and emails should receive responses within a time slot that is reasonable. The stock broker should have enough representatives that handle customer queries to their satisfaction. Treating the investor client as an individual whose time and money are valuable is important when picking a stock broker. It is easier to trade and make money when the stock broker that you have chosen has the best tools on offer. 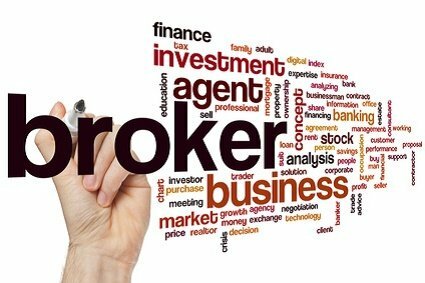 That the broker offers a wide variety of tools for the trader is a must. This helps the traders to make the most out of every trade. Streaming of quotes in real time, mobile trading apps, last sale tickers, stock scanners, etc. are some tools that you can look out for. Active investors are always on the lookout for the best tools. Market research tools on offer are yet another point to look out for. A majority of them are provided free. Usually, if a client pays more money per trade as fees, the market research is more and tools for better technical and fundamental analysis are made available. Whereas there are some stock brokers that allow you to start an account with zero as a minimum deposit amount, there are others that charge thousands of dollars. There are also other brokers that allow clients with higher minimum deposits to enjoy more facilities, access to premium services and personalized support. Reputed stock brokers have many investment options on offer in addition to stocks and shares. No-load mutual funds, ETFs, etc., are also offered by certain stock brokers. Other options include forex trading, futures contracts, direct market routing and conditional orders. Successful online stock brokers invest heavily in maintaining the account security of their clients. SSL encrypted websites for maintaining integrity of data and transfer of funds, security questions for logging in of clients, are factors that you can look for. Also ensure that the stock broker is a member of FINRA and SIPC. Choose a safe and secure stock broker that you can best invest your portfolio with. For an active investor, the speed of execution of orders is of utmost importance. Speed of execution may not sound important as different stock brokers’ platforms differ slightly in trade execution times. For small lots this may not make a world of difference. However, for an active trader that trades using big lots, trade execution time is an important aspect to consider. The bigger and more trusted stock brokers offer to fund IRA accounts or Roth IRA accounts with no annual fees. Many brokers offer optional advisory services for managing retirement funds. Some stock brokers offer other financial services and banking as well. Managing mortgages, credit/debit cards, etc., are also on offer. It is always observed that well-established brokers offer a better experience than the smaller ones. For investors that are resident outside a specific country, ensure that the brokers offer the services specified in the website in your country. This is an important factor that needs to be checked out before choosing the broker.